Please consider attending this important meeting in support of Ridgewood Reservoir on June 21st at 6 PM. The NYC Parks Department will be presenting plans for the development of Ridgewood Reservoir at this meeting hosted by NYC-H2O at St Pancras School, 68-22 Myrtle Avenue in Glendale, Queens. 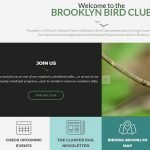 To quickly get you up to date on this – Brooklyn birders and BBC members, Rob Jett, Steve Nanz and Heidi Steiner, have been working for 10 years to protect the decommissioned reservoirs that sit on the border of Brooklyn and Queens just off the Jackie Robinson Parkway. The reservoirs were decommissioned years ago and a vibrant urban wetland has developed in the three basins since that time. 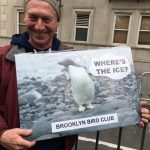 The city once had plans to fill them in to make more ballfields but the local community and NYC birders stepped in and advocated for preserving the reservoir basins as a natural area. We are all now working hard to get all three basins designated as wetland habitat – this will insure their continuance. We would also now like to see the NYC Parks develop a nature center at the reservoir, at the old pump house building, as well as to construct appropriate boardwalks facilitating people’s access to the habitat at the bottom of the basins and, to this end, we ask for your support at this meeting. 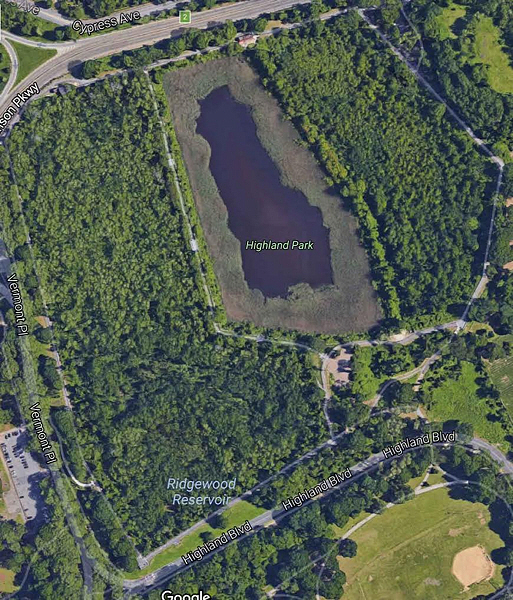 For history of Ridgewood Reservoir and a good accounting of the habitat there, check out Rob Jett’s “Save Ridgewood Reservoir” blog.